ST. GEORGE — Ten fire trucks were sent to fight a blaze in St. George Sunday afternoon that started in the garage of a residence and quickly spread into other areas of the home, causing more than $100,000 in damage. 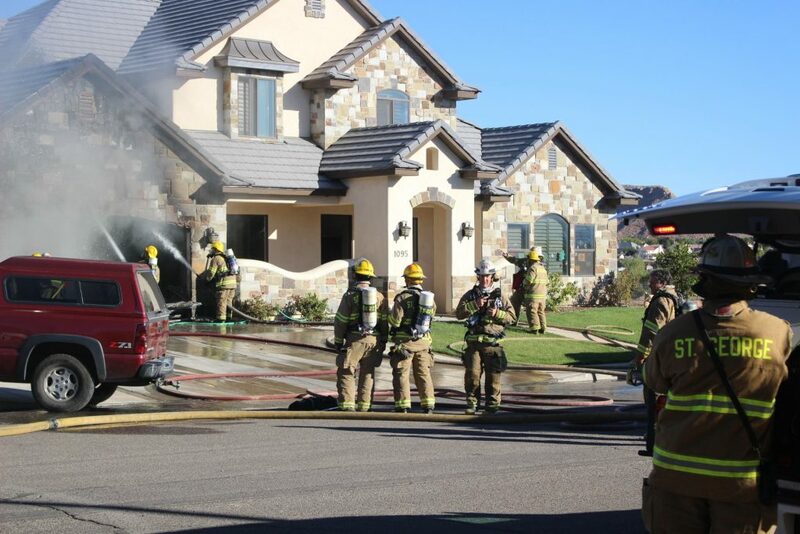 At 4:30 p.m., firefighters were called to the residence on 900 East after a call to 911 reported the home’s garage was on fire. 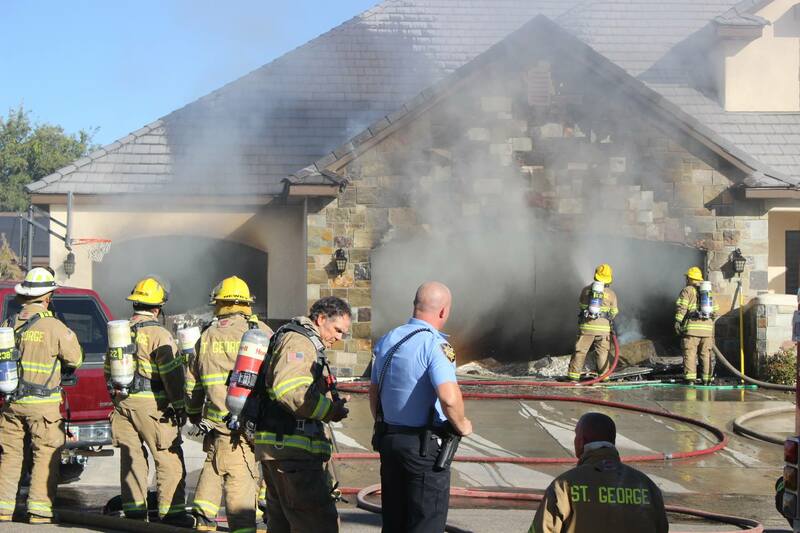 Once emergency personnel arrived they found the large, three-car garage fully engulfed in flames. 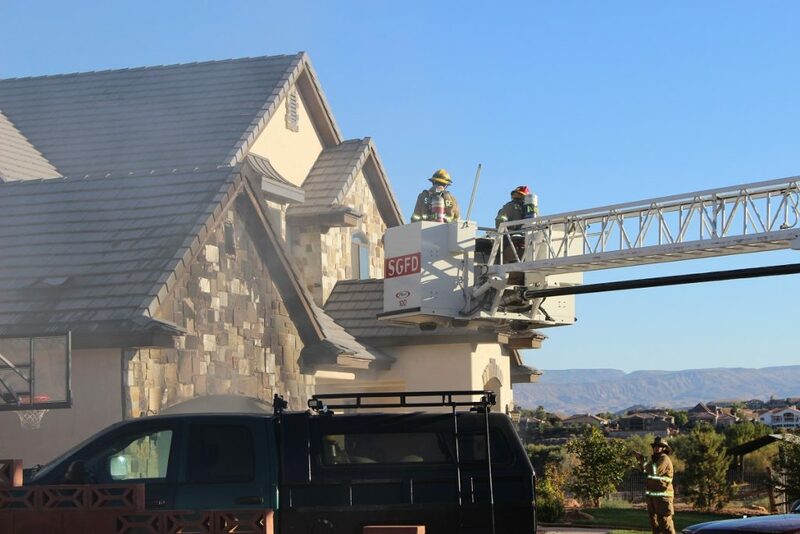 All occupants were safely evacuated with the help of several neighbors while the fire department was en route. Fire crews also rescued two dogs and got them to safety outside the home. 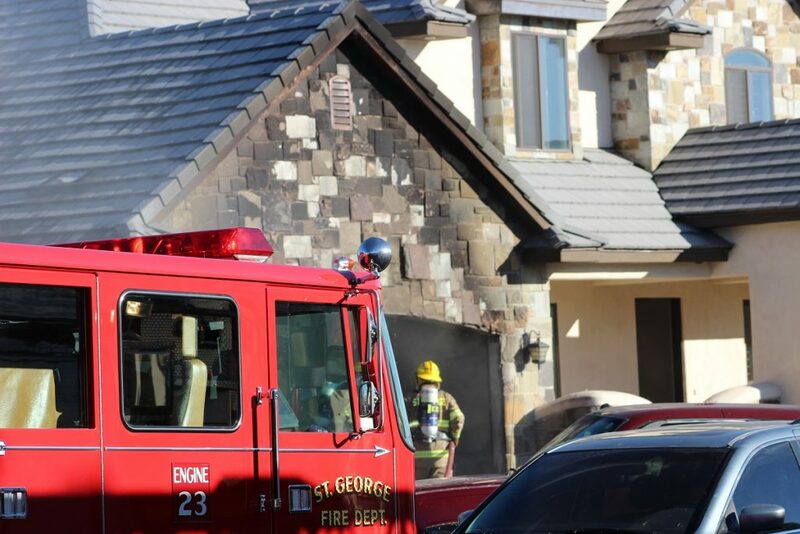 “Some of the neighbors helped the residents get out safely, and everyone was accounted for once we got here,” St. George Fire Chief Robert Stoker said. Numerous fire engines and ladder trucks began lining the street as firefighters entered the residence to extinguish the blaze. 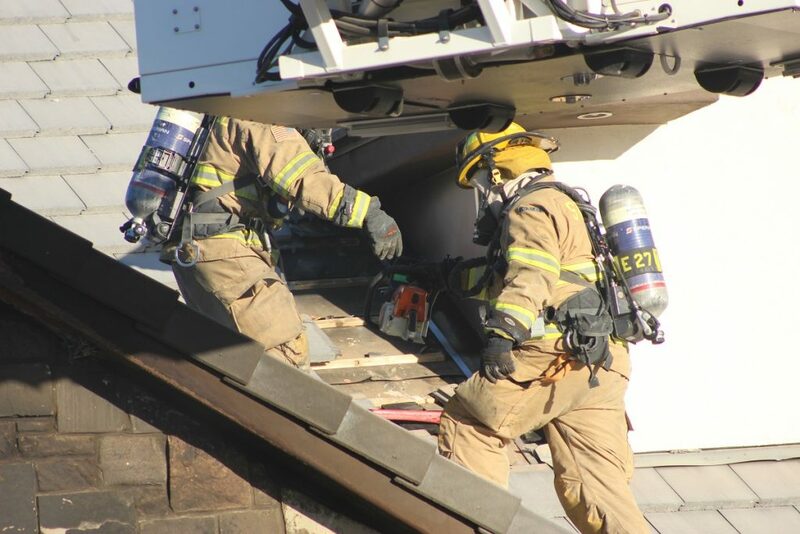 The fire continued to spread into an upstairs bedroom and into the kitchen area. 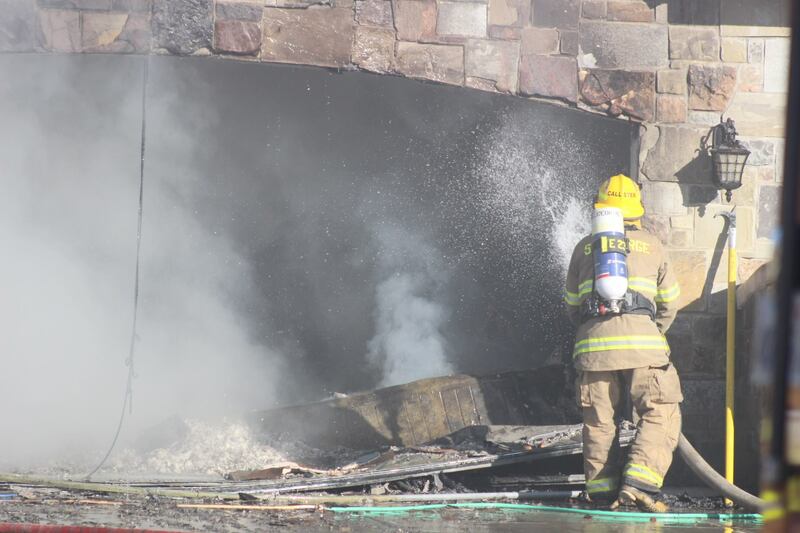 The door between the kitchen and garage was kept closed, which helped keep the blaze from spreading. After more than 40 minutes, the fire was extinguished and firefighters checked for burning embers. Fire investigators learned that one of the homeowner’s grandchildren may have started the fire. The child ran into the home and alerted the family to the fire, making it possible to call for help right away. Fire officials are going to meet with the family later, Stoker said, noting that findings about the cause of the fire are preliminary. The residents attempted to extinguish the fire on their own prior to the fire department’s arrival, but it spread too quickly. However, they were able to keep it contained until firefighters arrived. There was extensive fire, smoke and water damage, as well as some structural damage, which in total may exceed more than $100,000, Stoker said, adding that is only an estimate. 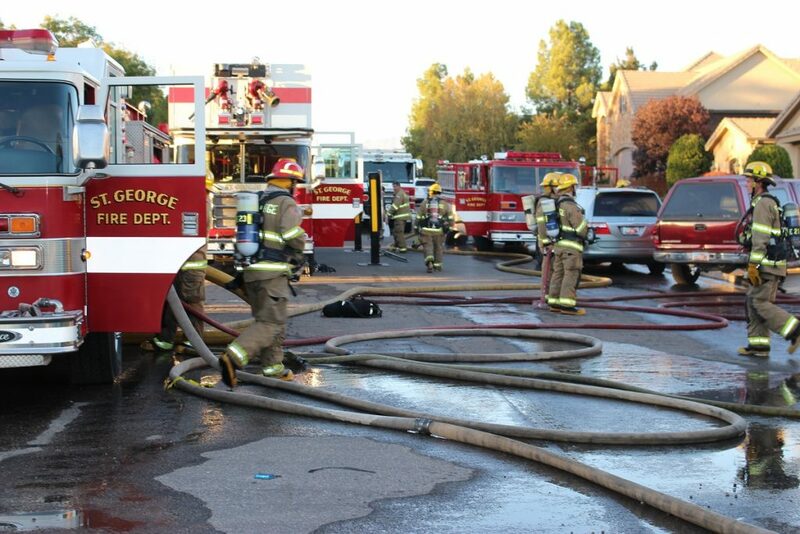 The St. George Fire Department brought eight fire engines, one ladder truck and one squad truck with 32 firefighters. Gold Cross responded with two ambulances. 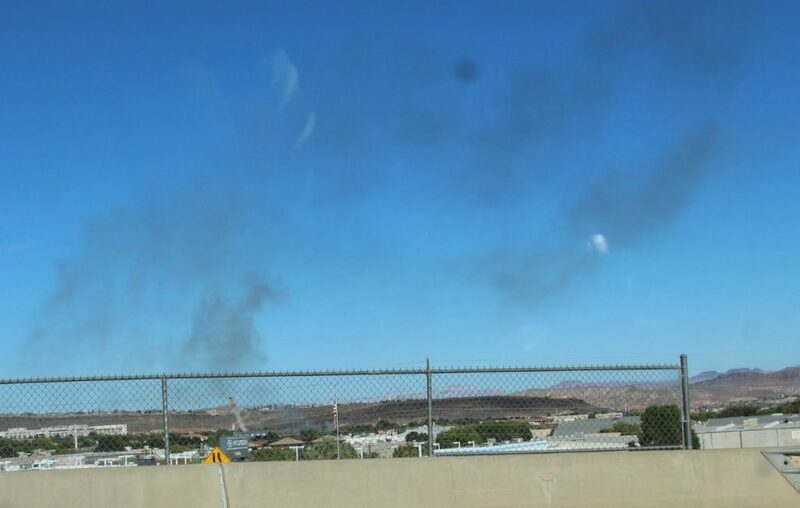 Multiple officers from the St. George Police Department also responded to control traffic and contain the scene. No injuries were reported, and the pets were in good health after evacuation.